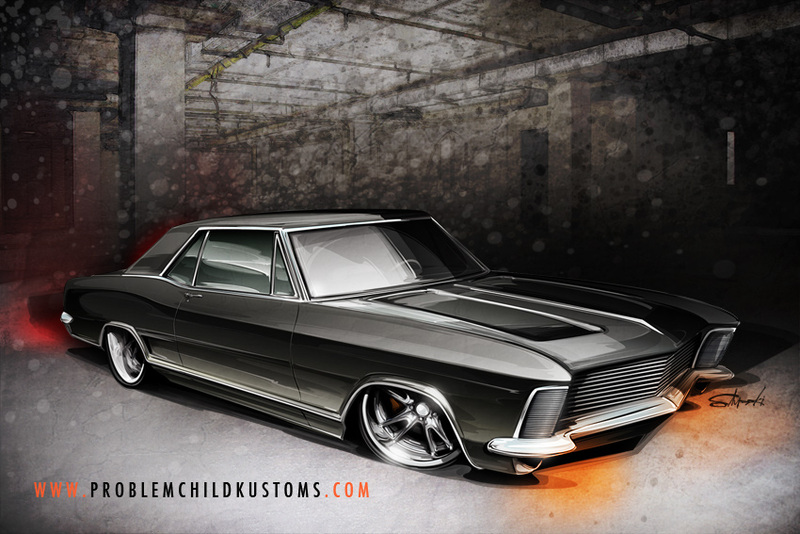 A rendering for a custom Buick Riviera with full environment and lighting. 2D, Illustrator vector, starting with pencil drawing. A mild custom Riviera gets parked for the night. A more static illustration while working on a ton of action shots for a project.